Cable budgets are getting smaller. Asks are getting bigger. Line Producers still have to be magicians. Almost reminds me of a country song. The fact is the creative asks are never going to get less. 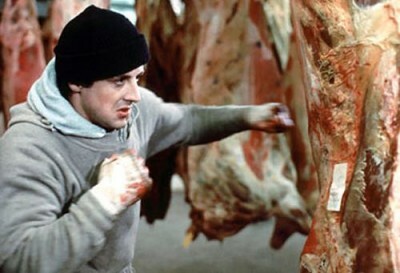 As a Line Producer there’s only one way to handle miniscule budgets – you to have PUNCH YOUR WAY OUT. When the travel is going to be ridiculously expensive and more than you could EVAH afford – try purchasing one-way tickets. It can sometimes save you hundreds. Another option is to get tickets with layovers in the city you want to be in and don’t take the second leg of the trip. Instead of shipping all your gear to the next shoot, have the crew and talent take one gear bag. This way you’re only paying for the extra baggage fee. If you’re shooting anywhere near a culinary school see if they’ll cater for real cheap. If you have to shoot interviews in a small town check the local church, library Elks club, or community center, perhaps they will rent you their basement for $50. Don’t let a hotel conference room be your first ask… you can go cheaper. When you’re looking for a location and don’t have a ton of money, check if one of the locations could possibly be a local restaurant. For the location fee offer the restaurant owner the cost of buying the crew’s lunch. The crew gets fed and in essence you’re getting a free location. For long production cycles, don’t give box rentals to the media manager, instead, buy a used computer, you will save money on the box rental and the company will own a computer when it’s over. If you’re not travelling too far, turn the travel day into a travel and scout day, it will save you on the number of crew days you’ll pay. If you’re shooting a docu-soap with lots of on-camera interviews and your budget is real tight – have the DP set up the shot and the lights for the first day, then use a Camera Operator for the rest of your interview shoot days. Hire a very experienced Production Coordinator to be your Production Manager at a rate that’s higher than what they’ve gotten, but less than a super experienced Production Manager. Use the caravan system to take people to the airport. Hire a PA and a van and have them pick people up or have everyone meet at a central location. It will be cheaper than everyone taking a car service or taxi to the airport. And there you have it, just a few ways to get some cha-ching! back in your budget.